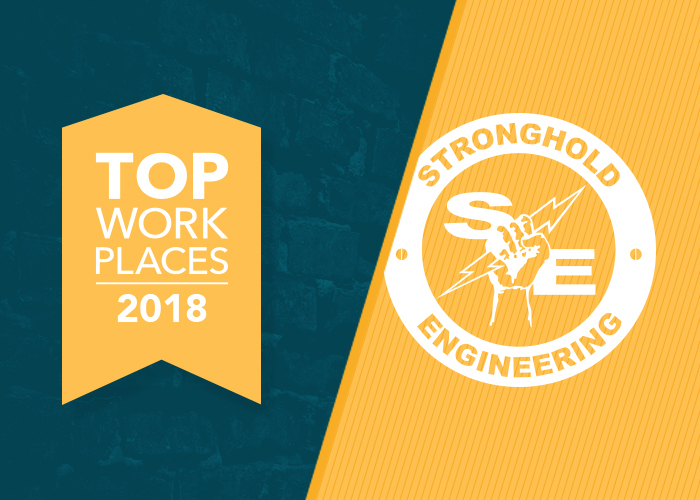 Stronghold Engineering partners with PermaCity to build LA's largest rooftop solar installation. You are here: Home / Press / Stronghold Engineering partners with PermaCity to build LA’s largest rooftop solar installation. As part of Los Angeles’s push towards a greener and more energy conscious economy, the city recently unveiled its latest building to take advantage of the CLEAN LA Solar program, also known as the Los Angeles Department of Water and Power’s (LADWP) Feed-in Tariff (FiT) program. The 2.6MW solar project in Sun Valley designed and constructed by PermaCity Construction Corp and Stronghold Engineering, is expected to reduced carbon emissions by up to 4.3 million pounds. The recently completed project which is estimated to make 1,000 Los Angeles homes carbon neutral, also helped provide 40 jobs to local workers and veterans, and also served as a platform for training on solar installation. 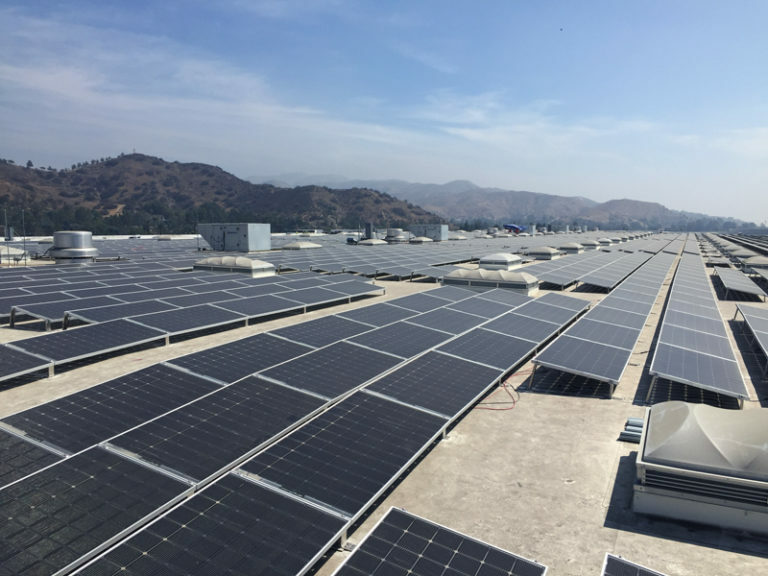 Xebec’s new solar panel installation spans across the firm’s 350,000 square foot two-building property, making it the largest rooftop solar installation in Los Angeles. Stronghold Engineering’s scope of work for this project was to provide a design and implementation for the AC distribution portion of this project and the Interconnection to the LADWP Grid. The requirement for site 1 at 11063 Pendleton Street included the installation and placement of the new 34.5kV pole , vista switch and LADWP station transformer, along with a secondary distribution switchboard. SEI, also designed the underground conduit routing system, and also implemented a design for this system’s transition to the rooftops to have the least amount of visual impact on aesthetics of the new buildings. The site 2 location at 11051 Pendleton required for the new PV Solar Array service to originate from the existing 1200A service, which required the Stronghold field team to work closely with the owner’s tenant and with LADWP to coordinate an electrical outage after hours to upgrade the existing service conductors to accommodate the new PV Solar Array interconnection. During the construction process there were multiple changes and additions to the scope of work, which included a large upgrade to the electrical and solar system that was already near completion. Precise coordination from all team members involved was crucial to ensure the changes were completed accurately and within schedule completion date. As it is in many cases, working with multiple companies and contractors can present many challenges within scheduling, regulations, work flow and communication, but Stronghold along with LADWP and PermaCity were able to establish a strong working relationship and in turn, deliver a project that was successfully completed with zero safety incidents and was delivered on time, as well as to the owners satisfaction. As Xebec looks ahead for plans to implement more solar installations across their other properties in Los Angeles, city officials hope other commercial customers will continue to take advantage of the available solar programs and help continue to make Los Angeles one of the nation’s clean energy leaders.